Kitchen Fitters Bath Ltd - Bathrooms, Kitchens based in Timsbury, Avon. 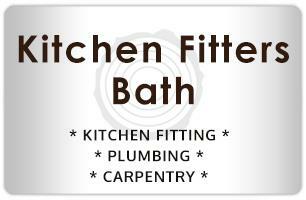 Kitchen Fitters Bath Ltd have over twenty years joinery and carpentry experience, specialising in kitchen and bathroom installations throughout Bath, Bristol, and the South West. We provide a friendly, reliable and extremely efficient design and fitting service and our highly skilled tradesmen and craftsmen take the utmost pride in producing the highest standards of work. From the initial planning and design through to the installation, flooring and tiling, we will ensure a smooth transition from old to new. We also provide a quality joinery and carpentry service for all your wood project requirements. Services range from the fitting of cupboards, doors, wardrobes, bookcases, skirting boards, dado rails, staircases, hardwood and laminate flooring to bespoke projects. Experience the project of your dreams with the help of Kitchen Fitters Bath Ltd, whose name epitomises quality and client satisfaction.